According to numerous media reports, Wade Bourne, a 69-year-old native resident of Clarksville, Tenn., passed away unexpectedly on December 15, 2016. The former Outdoor Channel television show personality and iconic outdoor communicator reportedly died from an apparent heart attack suffered while cutting down a Christmas tree on family land. 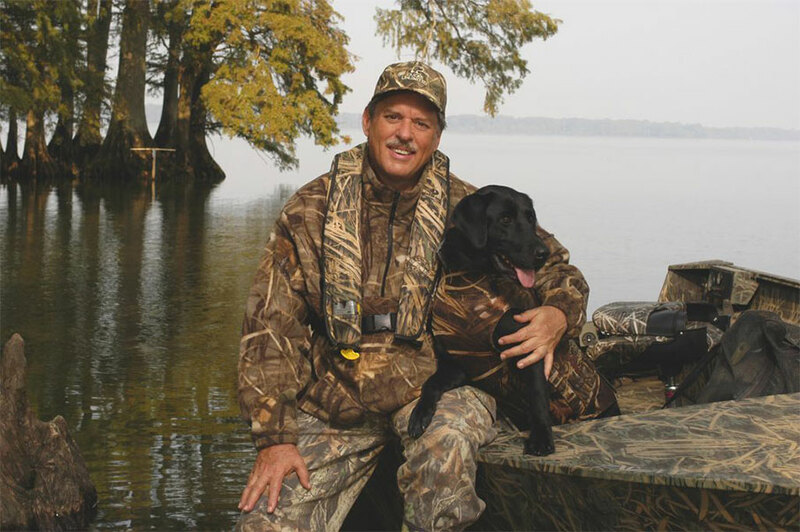 As one of the most recognized names in the outdoors industry, Bourne was a co-host for Ducks Unlimited TV for a number of years, including the program's time on Outdoor Channel. "Some folks in the outdoors world can do, and some can teach. Wade Bourne was a man who could do both,” said Outdoor Sportsman Group Networks President and CEO Jim Liberatore. “He touched many outdoorsmen and women across our great nation over the years and we are thankful he was one of us. He will be greatly missed." A prolific writer, Bourne also was editor-at-large for Ducks Unlimited magazine and a senior writer for Bassmaster magazine. He was a widely published freelance writer and photographer with countless credits in magazines and on websites all across the country. In all, reports indicate that he authored more than 3,000 articles for numerous publications and websites along with six books. Bourne also was well known on the radio with numerous syndicated affiliations heard on hundreds of radio stations across the country. Those included the In-Fisherman Radio, Wired2Fish/Hunt Radio and Pros' Pointers Radio programs. A 1965 graduate of Clarksville High School, Bourne attended Austin Peay State University and then the University of Tennessee where he earned a B.A. degree in English. The Tennessee native did course-work towards a journalism degree at Murray State University in Kentucky and was a pilot in the U.S. Air Force prior to beginning his outdoor communications career. He also was a longtime member of the First Baptist Church in Clarksville, a house of worship he regularly taught a Sunday School class in for more than 20 years. Over the years, Bourne was given a number of high honors by his peers in the outdoors industry. In 2003, he was inducted into the Legends of the Outdoors Hall of Fame. Two years later, Bourne was inducted into the National Freshwater Fishing Hall of Fame. In 2014, he was given the Southeastern Outdoor Press Association's Lifetime Achievement Award. And in 2016, he received the Homer Circle Fishing Communicator Award from the Professional Outdoor Media Association and the American Sportfishing Association. After news of Bourne's untimely passing began to spread, statements and tributes began to pour in from colleagues throughout the outdoors industry. "Wade has been a senior writer for Bassmaster, B.A.S.S. Times and other B.A.S.S. publications for nearly 40 years," said Dave Precht, editor-in-chief of those publications, in a story on Bassmaster.com. "He had a gift for storytelling that made his how-to articles come alive," Precht continued. "He was a knowledgeable and skilled angler and hunter, and he was an award-winning writer and photographer. "Wade's regular articles will be missed by all of us at B.A.S.S., but even more, we mourn the loss of a great friend and fellow outdoorsman." In a Facebook post, well-known national outdoor writer Bob McNally called Bourne one of the best men that he has known in the outdoors industry before adding: "Grief for (the) loss of a friend like Wade Bourne is a hard thing to deal with." Former Memphis Commercial-Appeal outdoor columnist and well-known Mid-South radio personality Larry Rea said on Facebook: "All of us who knew Wade are heart-broken by his passing, but we know that he was a true Christian gentleman who never wavered from his God-given faith. Gone, but never, never, never, never forgotten." Garry Mason, coach of the Bethel University Bass Team and founder of the Legends of the Outdoors Hall of Fame, also paid tribute to Bourne on Facebook: "Great Outdoorsmen don't follow the trails of others, (they) blaze their own trails while allowing others to follow. Wade was the greatest of men." Two-time world goose calling champion, call maker and outfitter Sean Mann posted a Bourne tribute on Facebook: "A great, great man who left us much too soon!" And Alabama bass pro Timmy Horton, the 2000 B.A.S.S. Angler of the Year and a longtime competitor in Major League Fishing, added his own thoughts on Facebook: "The outdoor industry lost a great one yesterday. It was such a pleasure to be interviewed by such a likable professional person. When I was a teenager, I was a DJ at a local radio station in my hometown and the highlight of my day was his segments of In-Fisherman Radio ... he was just a wonderful person to be around." Bourne is survived by his wife, Becky; children, Hampton and Haley; brother Joe; three nieces; a great niece and nephew; and many friends in Tennessee and throughout the outdoors industry. A service to celebrate Bourne's life and legacy will be held on Tuesday, Dec. 20 at 1 p.m. at the First Baptist Church of Clarksville, Tenn. In lieu of flowers, the family requests that contributions be made, in Wade's name, to the First Baptist Church of Clarksville Building Fund, 435 Madison Street, Clarksville, TN 37040; or to Ducks Unlimited, 1 Waterfowl Way, Memphis, TN 38120.